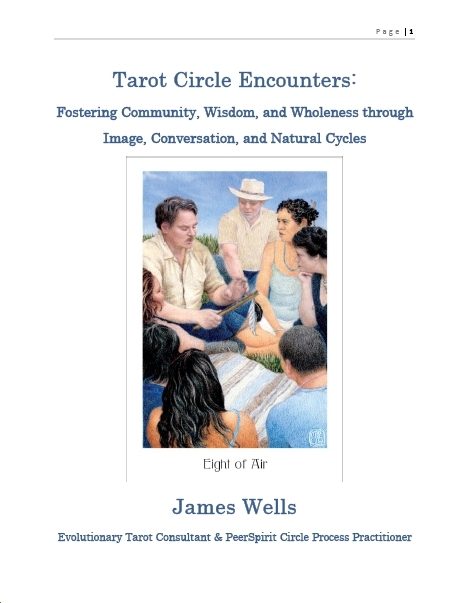 TAROT CIRCLE ENCOUNTERS: Fostering Community, Wisdom, and Wholeness Through Image, Conversation, and Natural Cycles. This revolutionary book combines the rich symbolism of the cards with the empowering processes of conscious conversation to help you and the people in your sphere of influence know yourselves better and ripple positive change into our culture. Wow! It’s a PDF book, only $7. Payment can be sent to circleways.james@gmail.com through PayPal. James will email the book to you upon receipt of payment. Be the change! Buy your copy of Tarot Circle Encounters. Looking to create a life worth living? Wondering how the tarot might help you do so? You’ll find the guidance you’re looking for in James’ book, TAROT FOR MANIFESTATION! Appropriate for beginners and seasoned explorers alike, Tarot for Manifestation is a versatile map to help you plot your own journey. With this book as your guide, you can use any tarot deck to stimulate your creativity to sculpt a life worth living. No more fortune-telling; welcome to the world of conscious creation! Now also available through Amazon! 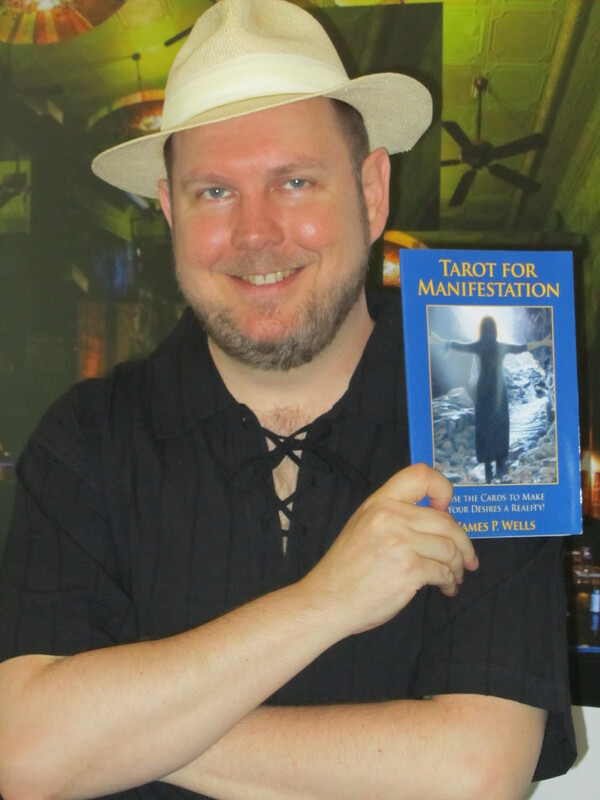 I’m delighted to announce that “Tarot for Manifestation” is available through Amazon. Please let people know! I love this book. I have been pairing the “clearing and affirming” process along with a goal process that I received from James last year. Very helpful!